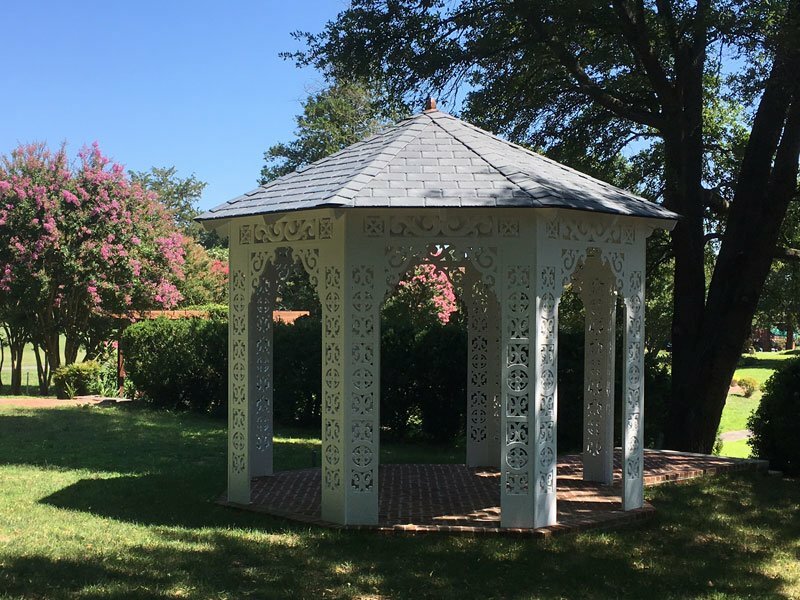 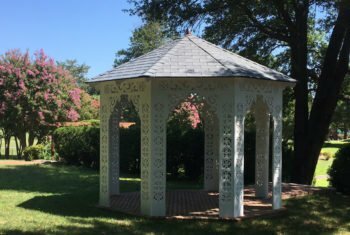 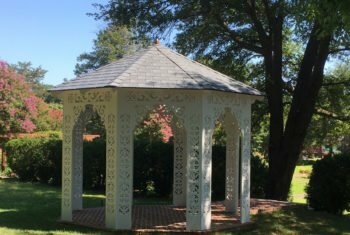 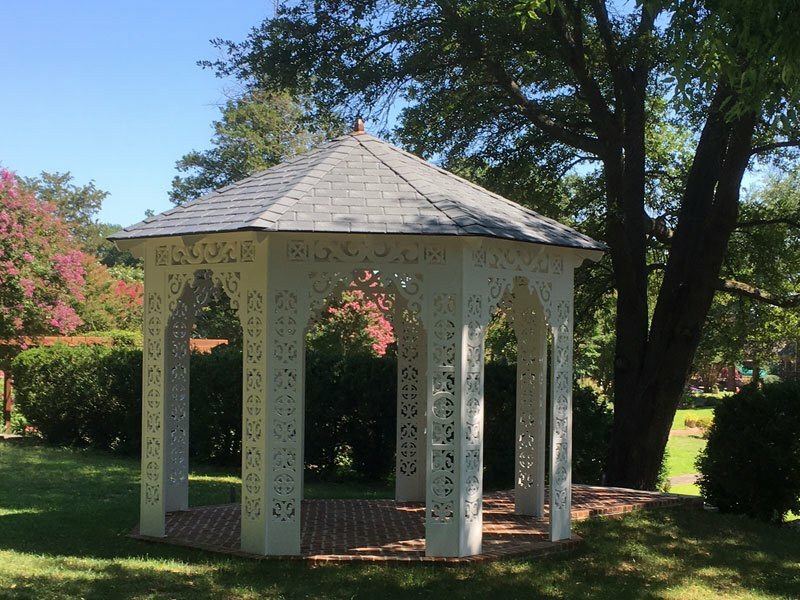 This beautifully unique gazebo was originally built in the 1800’s. 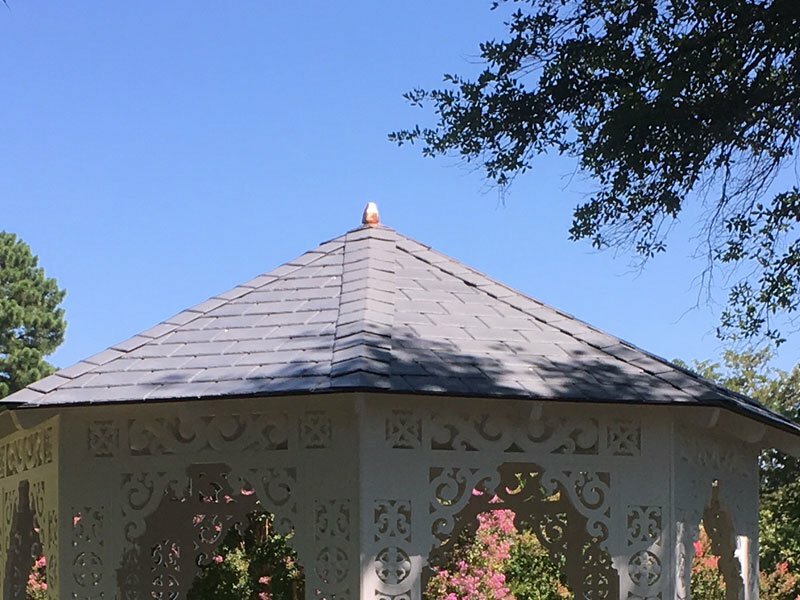 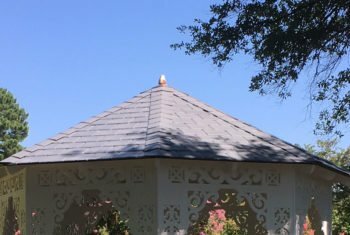 When in need of a new roof, property owners turned to EcoStar for something that would maintain the historic appeal of the original structure. 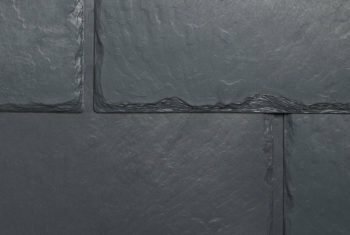 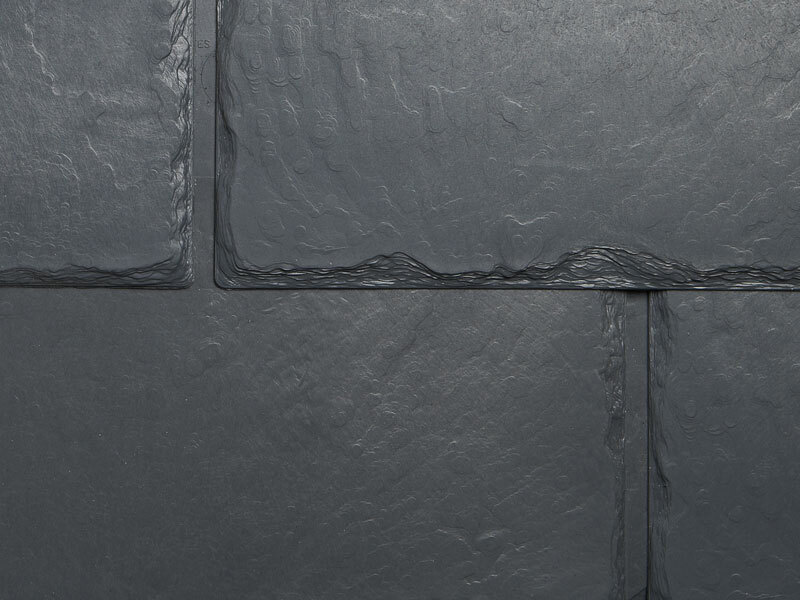 Majestic Slate was selected in Federal Gray not only for its aesthetic appeal, but for the strength and durability it provides.